Mix all ingredients except rib eye steaks in nonreactive bowl; stir; add rib eye steaks; marinate 4 hours. 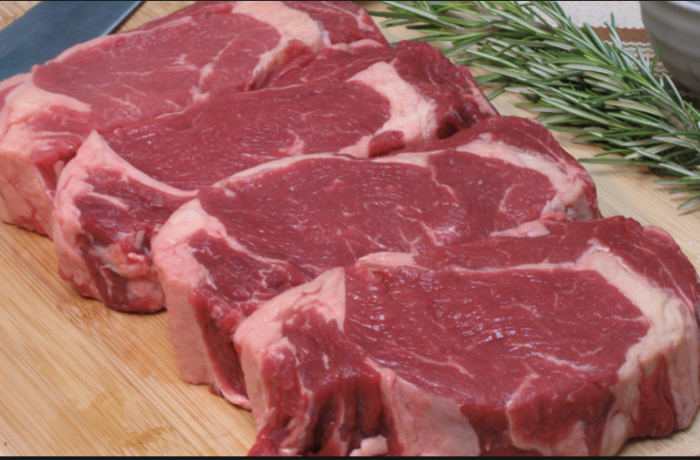 Place rib eye steaks on a platter; reserve. Reduce marinade in nonreactive saucepan by 50 percent; remove from heat; reserve. Heat butter in a saucepan set over medium-high heat; add carrot, celery, onion, and garlic; cook until caramelized. Add wine; reduce by 90 percent. Add stock; reduce by 70 percent; remove from heat; season with vinegar; strain through fine chinois; reserve (keep warm).